Well, there's a story behind it. Remember my wrap nails? Then, you'll remember that I cut all my nails short after that. I've gotten over the disppointment but I absolutely can't stand having my nails painted when they are short so I decided to give false nails a fling. If I like them...fine. If I don't....it's also fine. 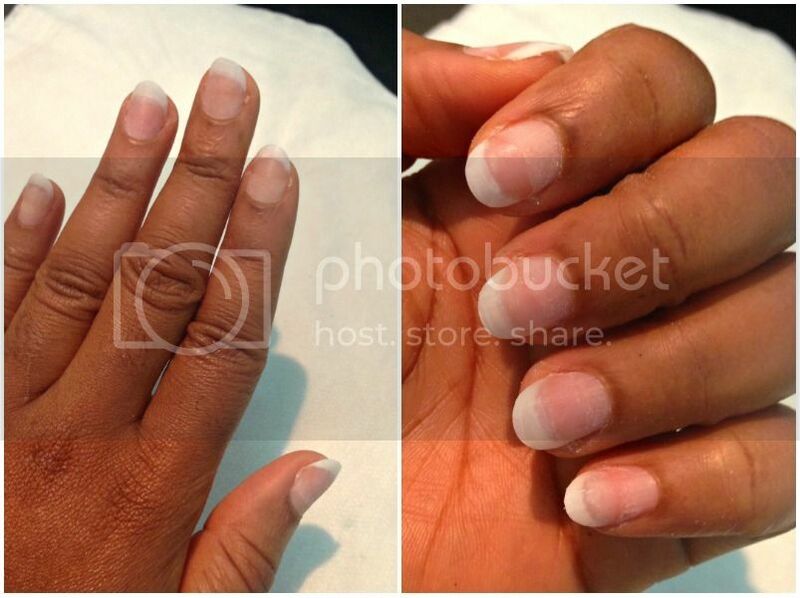 When the nail tech filled in the nails with acrylic powder, you can't even begin to imagine my distress. I told him "it's too fat. 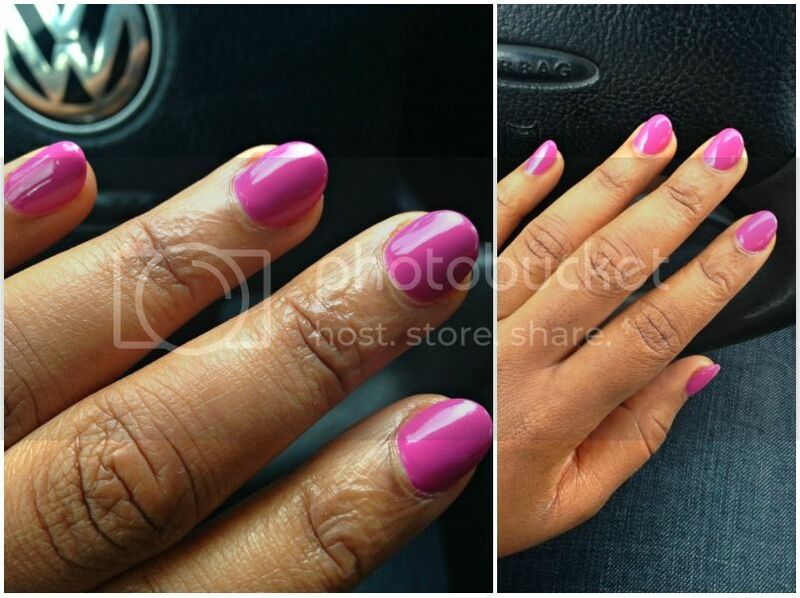 Can you please reduce the powder so it's thinner and more real?". Yes, I actually said so. By the time he was done and I looked at the nails from the top, it didn't look so bad. But from the side it still looks fake but I won't complain...for now. Nail polish? 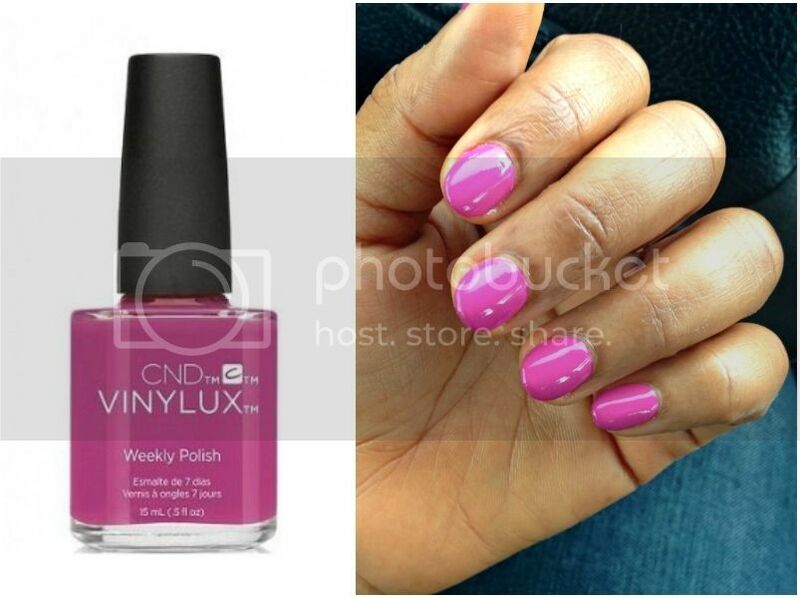 Vinylux of course. 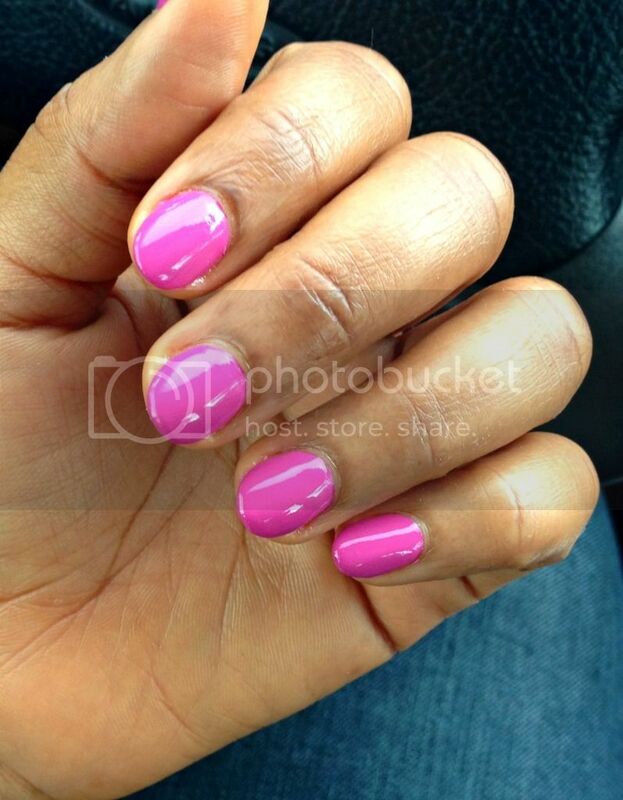 Vinylux in Crushed Rose which is the best soft, dusky rose colour I have ever seen. The plus side of acrylic nails though is that the colours last longer and there is no fear of breaking your nails so for now, I'm enjoying the absolutely lovely week long nails I've had. 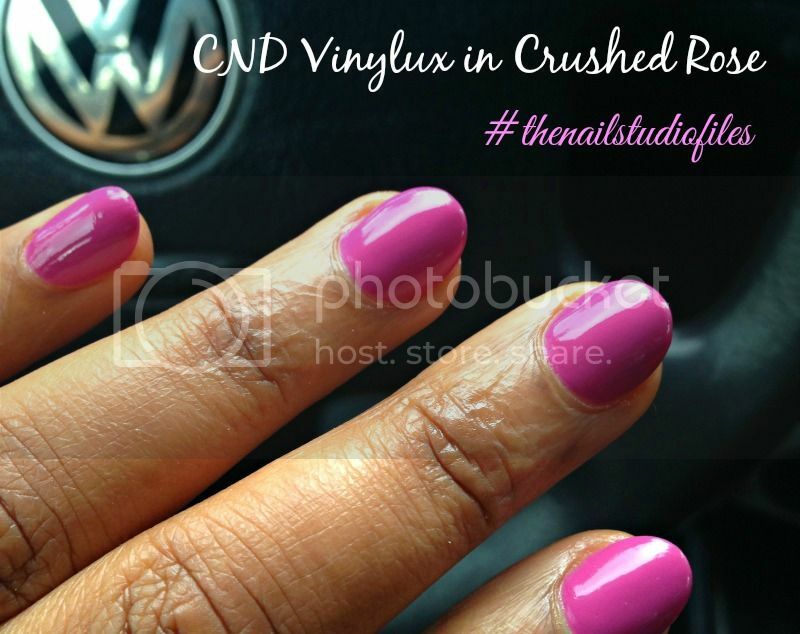 What's your verdict on Vinylux Crushed Rose on acrylic nails?